Every year The Great Bay Area Costumer's Guild (San Francisco) holds an Open House where members can socialize and potential members can find out what the group is all about. There is usually a raffle with some great prizes as well. A few years ago I made this corset as one of the prizes. 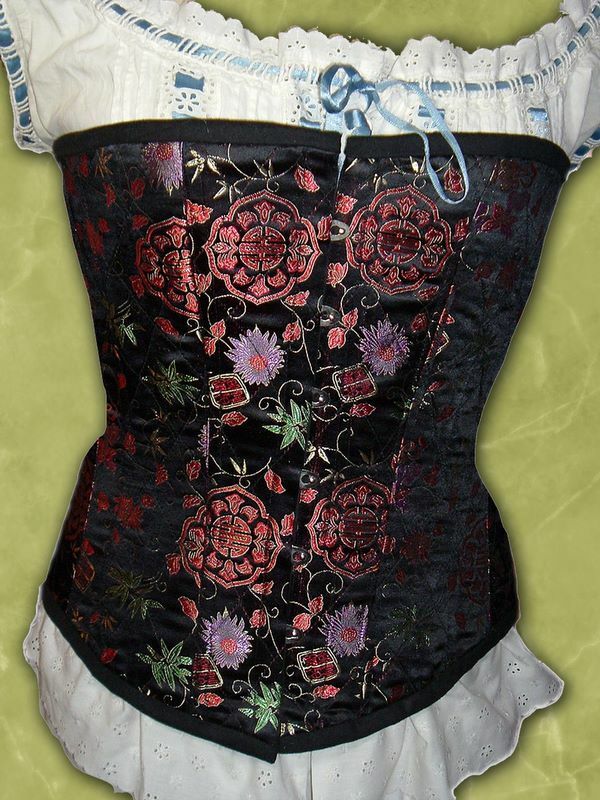 You can visit my website here to for a bit of information on the corset. While not a complete how-to you may find it interesting as I show how to make a corset busk wrapper.